It took me a little while to realize why I was so confounded by this game. 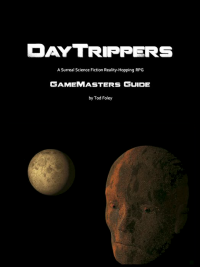 I kept asking questions like, “Who is the average Daytripper?” and “How does this world actually function, and what is it like to live there?”. But I was missing the point. 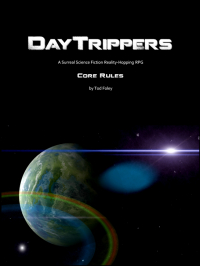 Daytrippers isn’t a universe that you and your players will explore; it’s a toolbox for the GM and the group to create and explore their own universes. This is the first review to appear on teh interwebz, if I'm not mistaken! You can check it out at Shirduan's Technical Grimoire website, right here!